"Dr. Pauline Leong is extremely caring, personable and, most important, knowledgeable. She is very thorough, often asking about areas of my life so that she can not only treat immediate symptoms and problems but ways to prevent these problems from reappearing. She also is my husband's internist and, because of her thoroughness, I believe she has saved his life on several occasions." "Dr. Leong showed concern and was able to help me. I was very sick and She was the only one that took time to read my test results and realize how sick I was. I highly recommend her." "Dr Leong is very open to my ideas and preferences; I can discuss with her differences I may have regarding my plan of care/tests. I asked if I could have the blood test at an care center close to home so that I would be able to fast before the test. She agreed and gave me a referral and different location of centers near me on Bell Blvd. When we discussed my meds I told her that I had discontinued on of them and why; also I had ideas about a dietary way that might correct my medical problem. She was very receptive and understanding of my thoughts and we discussed the details of my idea. She suggested that I delay my blood test to May or June so that we could see how my plan was improving my health. I was so happy that she took no offense to my ideas that I'm encouraged to do my best." "Dr. Leong is very good and attentive to whatever issue you raise. I like that she takes action where warranted - hip xray for a hip joint that doesn't lie like the other one - being proactive." "Dr. Leong is the best!!" "Dr. Pauline Leong has been my and my husband's primary care physician for many years. She is always caring, concerned and thorough. We have total confidence in her, and believe that her care has saved his life. She is an excellent physician and I feel very lucky to have her." "I have been with this doctor for 12 years I really like & trust her. There were no medications involved." "Dr. Leong is a very special, caring and devoted physician. " "Dr. P. Leong is excellent, friendly and very caring doctor." "Excellent provider. One of the best I've ever had." "Dr. Leong is exemplary as a professional and mensch. She is compassionate and truly concerned about her patients' well-being, taking time to call even late at night. There are very few doctors with the same dedication and mind-set. I am gratified that she has been my doctor for so many years." "Love Dr. Leong! never rushed you good listener very caring & comforting." "I'm very grateful for excellent care providing to me by Dr. Pauline Leong and her staff. " "My Doctor Leong is amazing, absolutely amazing!!!" "Dr. Leong is wonderful. She is caring and knowledgeable." "Dr. Leong is one of the best care provider to her patients." "Dr. Leong is the BEST! " "Dr. Leong has been my, and my husband's, internist for many years. She is always very thorough, excellent with follow-through and follow-up, friendly and caring. I couldn't ask for a better doctor." "Pauline Leong is very good in reviewing and explaining clinical findings. She would be great anywhere on this planet if you guys gave her 30 min. per pt." "Dr. Leong answered my questions and concerns about my medications, with precise and expertise answers." "Great experience with Dr. Pauline Leong she is the very best. " "I did recommend this provider to my spouse. " "Is a very dedicated person to her profession Dr. Paulina Leong & her patients." "Dr. Leong is an excellent doctor." "Dr. Leong is a wonderful doctor." "Dr. Leong is one of the best MDs on staff. She is very thorough, takes her time. You lose her, you practice will go downhill." "Dr. Leung was thorough and appeared very caring. She's also very practical in her advice and explanations, besides being very friendly." "She initiated a follow-up phone call to me." "Dr Leong is the most caring physician I have ever had Thank you"
"She was amazing, and funny! I would totally see her again. Overall, great experience!" "Dr Leongs concern for her patients is exceptional! As soon as she receives test result she personally calls and explains the results thoroughly." "I have returned to this excellent Doctor who is caring, informative and listens to my concerns." "Dr. Leong saw me in a timely _____ after requesting an appointment. She was very attentive to my needs and concerns. Dr. Leong was efficient in her diagnosis, and I saw results in a matter of days." "Very patience, listened to my problem and tried her best to find solution for me." "I feel very confident when I see Dr. Leong, that I'm going to get the best of care. No matter what problems or concerns I bring to her -- she is knowledgeable in her field; Dr. Leong is always able to help me or, give me the right doctor to assist me." 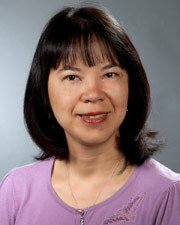 "I can't say enough good things about Dr. Leong - She is caring, competent and ALWAYS availale. Is there a way for me to nominate her for some official recognition?" "I have always found Dr. Leong to be an excellent internist who is knowledgeable, extremely thorough, caring, and approachable. I would highly recommend her as an outstanding physician." "Dr. Leong is an excellent physician. She's my favorite of favorites!" "Doctor very patient and did not rush through the appointment." "My provider talks very fast and sometimes it can be difficult to ask questions"
"The provider always follow up with the test results." "Dr. Leong is helpful, polite, kind, caring and gives the attention that all patients should get from their doctors." "Dr. Leong is very very thorough on her exams." "Dr. Leong is excellent, caring and most informative." "Dr. Leong goes above and beyond to listen to my health concerns and develop treatment that works best for me." "Dr. Leong is very knowledgeable and caring." "I recommending Pauline Leong to everybody." "Excellent experience. I saw Dr. Leong as my regular provider was not avail." "Dr. Leong is very caring and has plenty of patience's -"
"Have recommended her to mother in law."